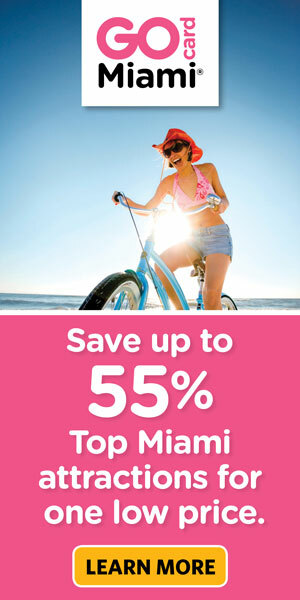 ​MIAMI IS SURE TO IMPRESS YOU. View pricing and purchase tickets online from top tour company Trusted Tours & Attractions! You'll find guided bus tours, as well as admission tickets to top attractions such as the Miami Sea Aquarium and Zoo Miami. Trusted Tours & Attractions has been providing the best sightseeing tours in the USA for over 25 years and believe so strongly in the quality of their products they offer a 100% satisfaction guarantee. ​Scroll down and choose the option you're most interested in and click the 'book now' option to view a detailed itinerary, see the booking calendar, or purchase tickets. Alternatively, you can browse tours & attraction tickets by category below. Sit back and relax in utmost comfort and style while you tour the waters of Miami's Biscayne Bay on a 90 minute cruise. Highlights include Millionaire's Row, Fisher Island and Miami Beach. Tours leave every hour. Ride in complete comfort across 34 islands and 42 bridges known as the Florida Keys. Travel down a road that is bordered by the emerald waters of the Gulf of Mexico on one side and the Atlantic Ocean on the other. The Everglades tour offers guests excitement and fun for the whole family! Come face to face with local wildlife, hold a baby alligator, and see snakes of all sizes. Tour includes roundtrip transportation from Miami. See the best of Miami on this historic city tour! Visit South Beach, Coconut Grove, Downtown and Little Havana plus other interesting landmarks. Includes free souvenir tour map & free hotel pickup. Hop aboard the open top double decker bus and get off at your leisure at convenient stops to visit Miami's top attractions. Tour consists of two loops; the Beach and City Loops. Commentary is provided. PLUS get a 2nd day free! A place where dolphins walk on water and a killer whale fly's through the air! Where sea lions delight children and endangered sea turtles and manatees find a safe haven. A world class marine park that will entertain everyone. Purchase a 2 day explorer's pass for free admission to over 35 tours, attractions, cruises and museums. Saves time and money with VIP entry at many attractions. Includes guide book. Get 3 days worth of attractions for one low price plus skip the line at top sights! Attractions include Hop on Hop off bus, Miami Sea Aquarium, Key West day trip, Kennedy Space Center, Daytona Speedway, Key Largo Glass Bottom Cruise and much more!